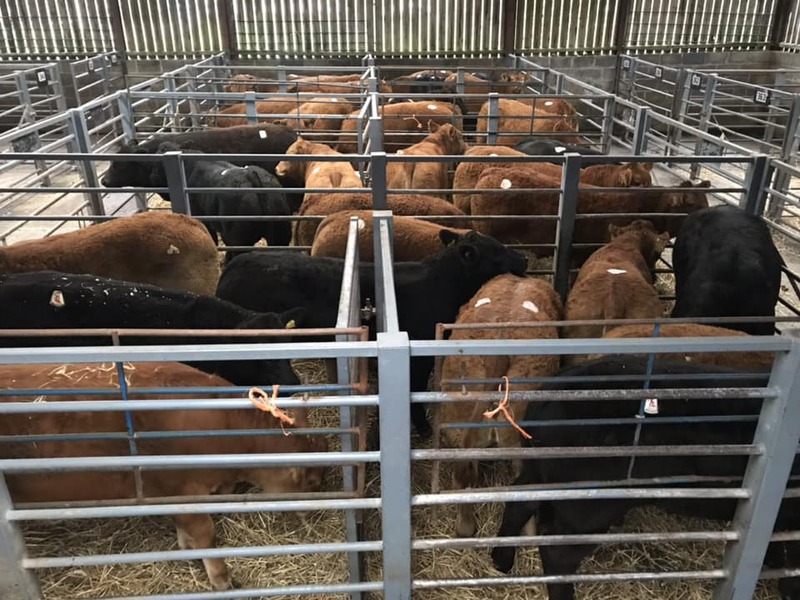 Sennybridge Market held their annual show and sale for the Brecon and Radnor Suckled Calf Rearers on Tuesday 16 October. 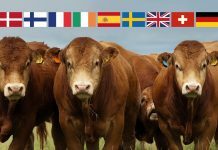 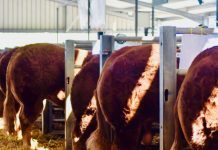 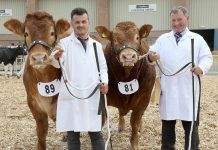 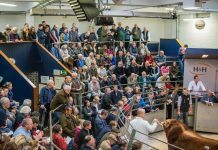 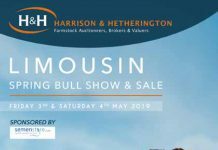 Auctioneers Clee, Tompkinson & Francis welcomed a large cohort of young cattle to stand before Judge Guto Jones, Neuadd Fawr, Llanwnnen in the pre-sale show. 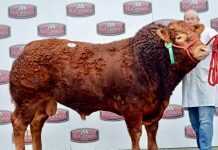 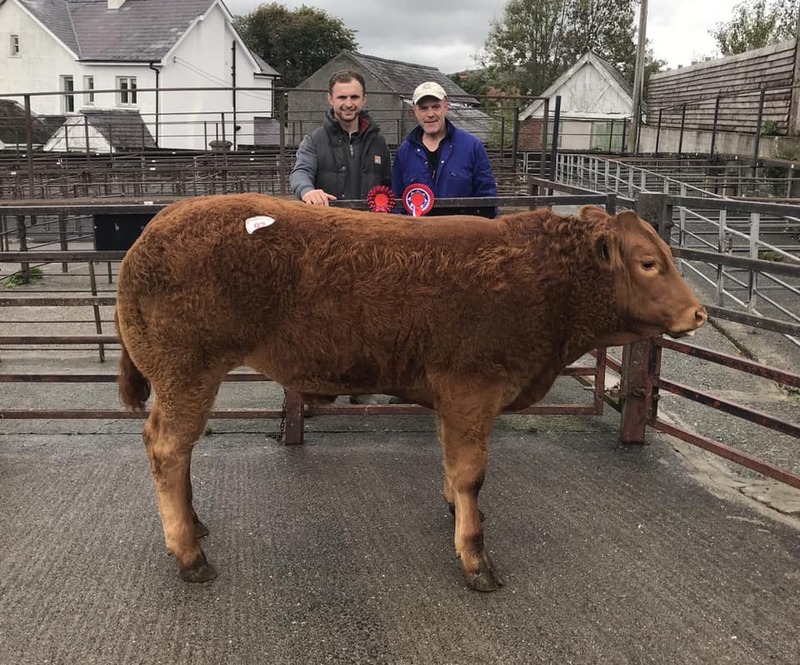 Taking the Championship spot was a young steer by Karlos from Arwen Prichard who runs the Limrock Limousin herd at Vians Hill Farm, St Nicholas, Vale of Glamorgan. 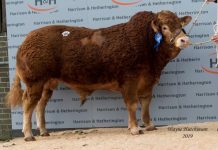 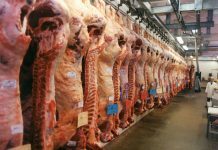 The Champion’s sire Karlos, who is homozygous polled, has been described as a real ‘meat machine’ with awesome shape, muscle and power. 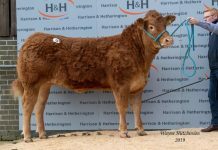 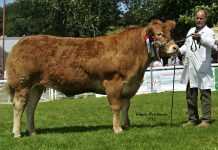 This was very much on show in his progeny at Sennybridge, a cohort went onto take first place in the Best Group of Four Limousin Calves class.